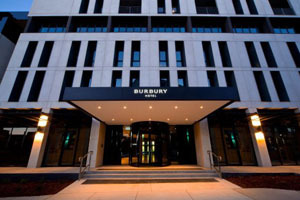 The Burbury Hotel in Canberra, developed by the Doma Group has opened for business. The property offers 73 rooms, a health club, day spa and a fully equipped business centre and is located near to the capital city’s Parlimament House, as well as the Government hub and Central Business District. A rooftop function space can cater for meetings for up to 30, cocktail functions for up to 150 and dinners for up to 60.